Civil engineering contractors and plant hirers will benefit from a £42m-a-year windfall for flood protection schemes. The 10-year strategy is the result of grant funding totalling £420m and follows an agreement reached between the Scottish Government and COSLA. The cash will fund 40 new protection projects and around 10,000 families will benefit. More than 130 studies will be undertaken to help find potential solutions for another 26,000 residential properties at risk. 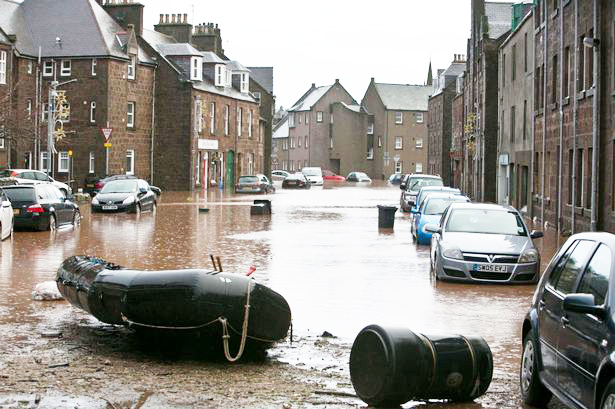 The announcement came as First Minister Nicola Sturgeon kept a promise to return to Newton Stewart following an earlier visit in the aftermath of flooding at Hogmanay. From 2016/17 onwards, Scottish Ministers and COSLA have agreed that the future funding of flood protection work should reflect the priorities set out in 14 Flood Risk Management Strategies published in December 2015, and the more detailed plans published last month.